Traveling for work, I walked into the hotel exercise room and got on the treadmill just as the The Believer by Kenny Chesney and Shaun Silva was starting. 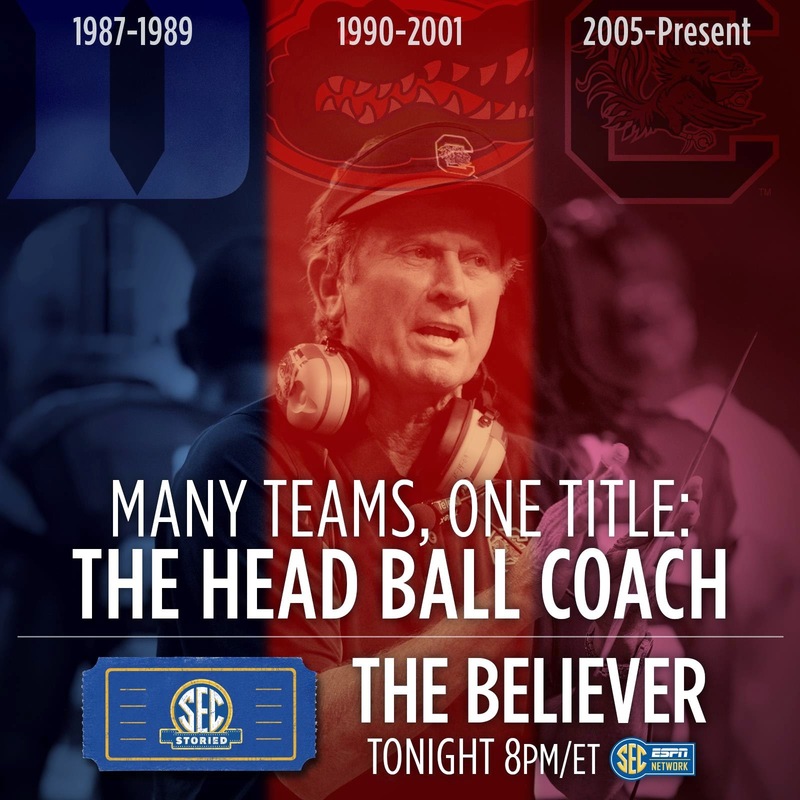 This is the twelfth film in the ESPN Films SEC Storied series. An episode guide for SEC Storied is here. In high school, he was an all-state selection in football, basketball and baseball, and an All-American quarterback. As a three year starter at Quarterback for the Florida Gators, he won the Heisman Trophy in 1966. The San Francisco 49ers selected Spurrier in the first round (third pick overall) of the 1967 NFL Draft. Spurrier played for the 49ers for nine seasons, mostly as a punter and backup quarterback to John Brodie, before being traded to the Tampa Bay Buccaneers expansion team for his final NFL season in 1976. In 1983, Spurrier became the youngest head coach in professional football when he was hired to lead the Tampa Bay Bandits of the new United States Football League (USFL). From 1987 to 1989, he was the head coach of the Duke Blue Devils, a tenure that included Duke's first bowl game appearance since the 1960 Cotton Bowl Classic and a tie for the 1989 ACC championship, Duke's first ACC football title since 1962. 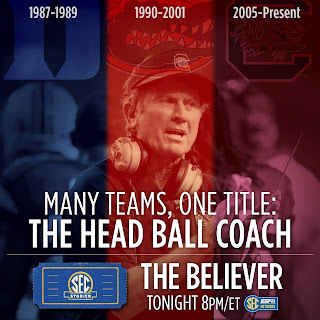 During his twelve seasons as head coach of the Florida Gater (1990–2001), Spurrier won one national championship (1997), played for another (1996) and won six SEC championships (1991, 1993, 1994, 1995, 1996, 2000). He coached the NFL Washington Redskins for a tremulous two years (2002 and 2003) posting a record of 12 and 20. The Believer is not currently available in iTunes or on Amazon.